Alesha Envelope Clutch Only $9.95! You are here: Home / Great Deals / Alesha Envelope Clutch Only $9.95! 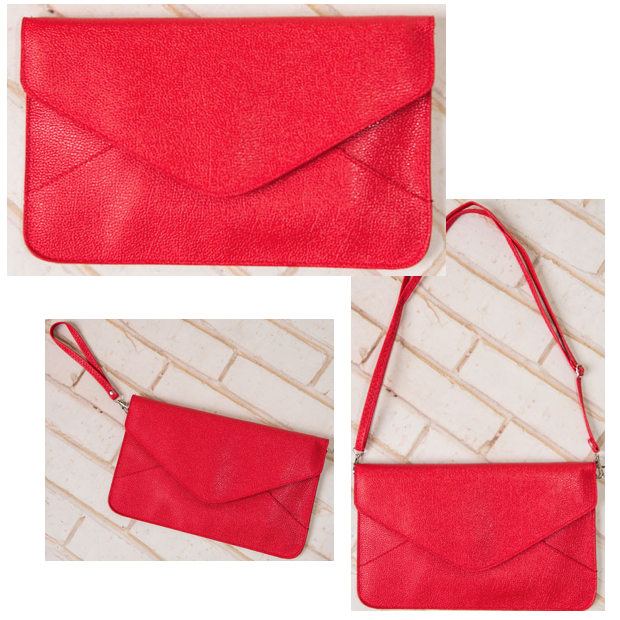 The Alesha Envelope Clutch is Only $9.95 but you can wear it 3 ways! 12″ X 7″, the envelope clutch has a magnetic snap closure with matching 27″ to 54″ adjustable shoulder strap and 7″ wrist strap. Available in 12 colors!